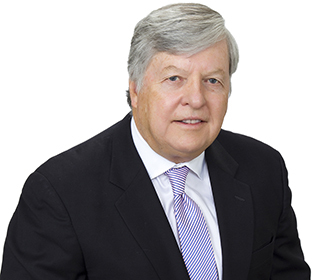 Bob Szabo has practiced federal public policy law for forty years. Currently he serves as practice coordinator for the firm’s government relations and policy practice. Bob came from Louisiana to Washington, DC in 1975 to serve as Senior Legislative Assistant to Senator J. Bennett Johnston (D-LA). Bob has focused his career on counseling, advocating for, and resolving federal policy issues for clients on issues in the areas of energy, the environment, natural resources and transportation. He has extensive experience working with both Congress and the Executive Branch of the federal government. While a member of Senator Johnston’s staff, Bob worked on issues before the Senate Interior and Insular Affairs Committee and, later, its successor committee, the Senate Energy and Natural Resources Committee. During the first two years of the Carter Administration, Bob worked almost exclusively on President Carter’s proposed national energy plan legislation, which consumed both Congress and the Administration during that period of time. Many of the energy issues that continue to be considered and debated by the federal government today were first debated in the Carter national energy plan. Representing a national trade association of energy service companies with respect to the application of a provision of the Dodd-Frank Wall Street Reform and Consumer Protection Act and the federal tax benefit provided for energy efficient buildings.